MUFF WIGGLER :: View topic - The newest Mutant unveiled! I am proud to announce the latest breakthrough in music and studio technology! A culmination of years of research and sonic experimentation have led us to this new method of sound synthesis, and the module we have all been waiting for. 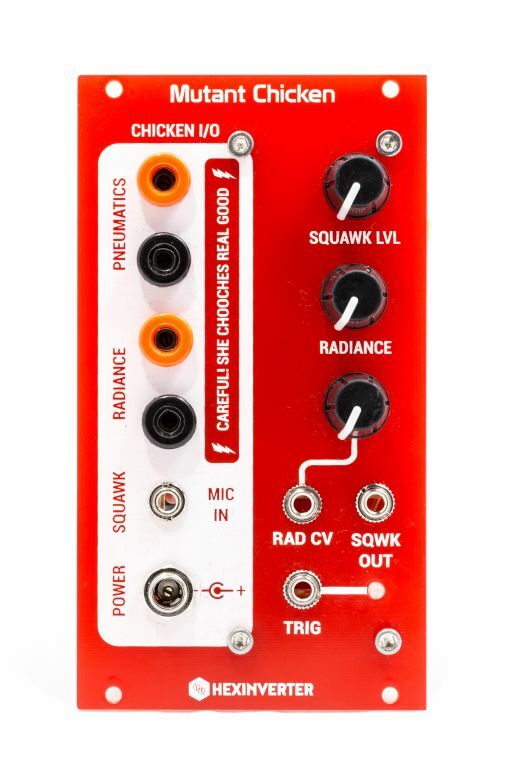 The Mutant Chicken builds on the legacy of the Mutant Drums series and brings something revolutionary to the audio technology market. This module is sure to introduce a new paradigm to modern music production techniques. Research and development of the Mutant Chicken has been quite a journey, spanning years of intense research and development. There were times when the whole project seemed in doubt and only bloody-minded commitment kept us going. No effort or expense has been spared, from sourcing rare new-old-stock parts, to the use of pricey opto-isolators for that unmistakable analog slew, to finding the brightest, most powerful LEDs available on the market.